Posted in by Tudip at 08:04 Comments Off on Things to Know about Publishing Ionic Apps! So let’s quickly look at the outline of the Ionic Framework and its usage in the emerging technology era. What is meant by the ionic framework? One of the prominent benefits of developing Ionic App is, it can be developed mostly through the browser itself (where developers don’t need any mobile device to debug the changes). Since Ionic is an HTML5 framework, it uses the PhoneGap or Cordova as the native wrapper in order to run as the native apps. 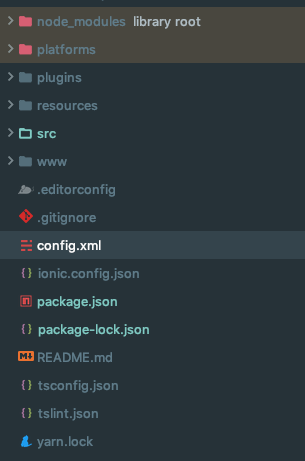 Before we move ahead with the topic publishing Ionic App, make sure you have all the prerequisites tools installed on your local machine. Now, I am assuming that you already have the prerequisites installed and app is in working state, which is ready to broadcast in the world. So first, we need to generate a release build version of our app based on the target we wish to deploy on. How do I publish an ionic app on Android play store? Open the config.xml file into the editor of your interest, where you can find this file in your project’s root folder. Second, update the id attribute comes with the widget tag. This is important. Note: The id is a unique identifier used to publish your app to iOS or Android store. The id with Android build is nothing but your package name and with iOS it’s bundle ID. Third, in case if you are updating anything through your build, please change the version number to a higher value. If you are publishing your app for the first time then this is not a thing to worry about. To distribute your app on Android Play Store and on the other app distribution channels, we will need to build a digitally signed APK (Make sure you have already installed Android SDK before moving to this step). Add support for the Android Platform into your app, if you have not done so. Type the command given below into the terminal pointing to your app’s root folder. Follow the instructions given on the terminal to type in your password and other information. Please save this file in a safe location as this is needed in case if you want to sign a new build again and release an update. This will generate an android-release-unsigned.apk file under your platform/android/build/output/apk path. To sign the unsigned.apk file i.e to create the signed release build run the jarsigner command tool which is also the part of Android APK. So, the MyTask.apk is your final signed apk file that you need to upload on the Google Play Store or any other android distribution network. Now that this release APK was ready for the Google Play Store, make sure we have Play Store listing to upload our APK. Before you start, please visit the Google Play Store Developer Console and create a developer account ( it will cost nearly $25 ). Once you have enrolled with a developer account, you can go ahead to “Publish an Android App on Google Play” and follow the on-screen instructions. How do you publish an ionic app for IOS iTunes? Development: This is basically used to sign the app and deploy the signed apps to the registered device which has access to certificates. Distribution: By signing the apps with the distribution certificate the app can be installed on any of the device. We are using Xcode for publishing the app to Apple, where you will need to associate the expected certification and a provisioning profile. Add support for the iOS Platform into your app, if you have not done so. Type the command given below into the terminal pointing to your app’s root folder. The above command creates the minified code of the web portion of an app. Now, you can find out the .xcworkspace file inside /platforms/ios/. Double click on the same and open the file into Xcode. Go to Xcode > preference > account. You can see now that none of the accounts are registered. Click the left side “+” button at the lower side and login to your Apple developer account. Pick the account and click on the detail, it should open a popup to ask you to request Certificates. Pick the valid iOS distribution and development certificate. Close the preferences window. You can connect to your iPhone to run the app on your connected iPhone or else you can choose your simulator to do so. You can pick your App IDs by going back to App Developer Center / Identifiers. You can create a new App ID by clicking on the “+” icon from the upper right corner. Give a descriptive name to a new app and put in the Bundle ID (The reverse domain name. For example, com.task.appname you set up in your Ionic config.xml file). And then hit the “continue” button. In the next screen, make sure everything is valid and correct then click the “submit” button. To add new Provisioning Profiles and click the “+” button on the top right corner. Pick “App Store” along with the correct app ID and then click on the continue. Select the certificate and then continue. Add a descriptive name like “My task distribution” and then click on “Generate”. Download the newly created provisioning profile and open the same in Xcode. In Xcode, change the Deployment Target to iOS target you are going to support on. In the Xcode menu, go to Product > Archive and archive your app for release. Generating archive will build a version of the app which is ready for distribution in the app stores. After archive has been created, Xcode Organizer modal gets opened. This Organizer displays the list of the builds for the current app with the given version number. Pick the last build and click on the “Validate” button to validate App publishing process. Once it is successfully validated. Then, you are able to see the “Upload to App Store” button, just click on the same to submit your app. Once uploaded successfully, your app is listed in iTunes Connect under the Activities section. From there one can enable the TestFlight for the beta testing version of your app or else app can be sent for the Approval from Apple. Ionic is a better choice for mobile application development which comes with stunning features. One can combine Ionic with continuous integration & delivery, where it really starts to shine and provide great value to the business and higher productivity. I hope that this blog has been able to give you some context about publishing Ionic Apps to the Android Play Store and the iOS App Store. Read more: How to Build Mobile Apps with Ionic Framework?